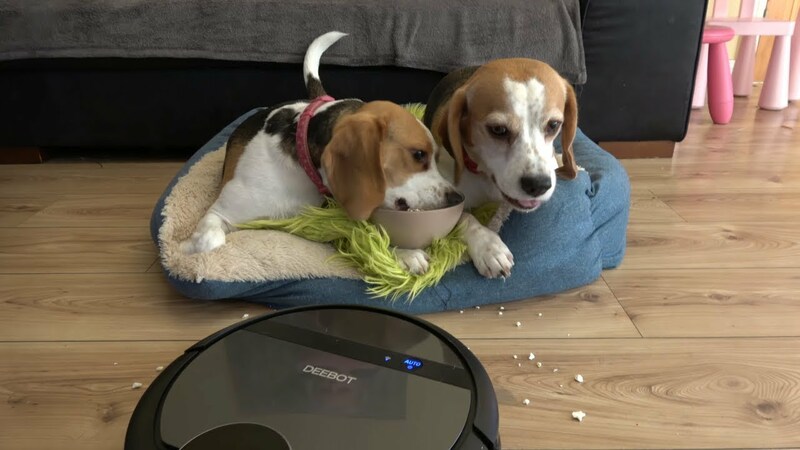 We got our Robot from ECOVACS .Our model DEEBOT 901 perfectly cleans floor from dog hairs. We set up a YouTube channel for Charlie in January 2013, as we began training him to complete tasks ranging from helpful (shutting cabinet doors) to amusing (bringing a can of beer and the TV remote straight to the couch). After our beautiful baby was born, we noticed his special bond with our daughter, and we began filming our canine companion as he helped us care for her.